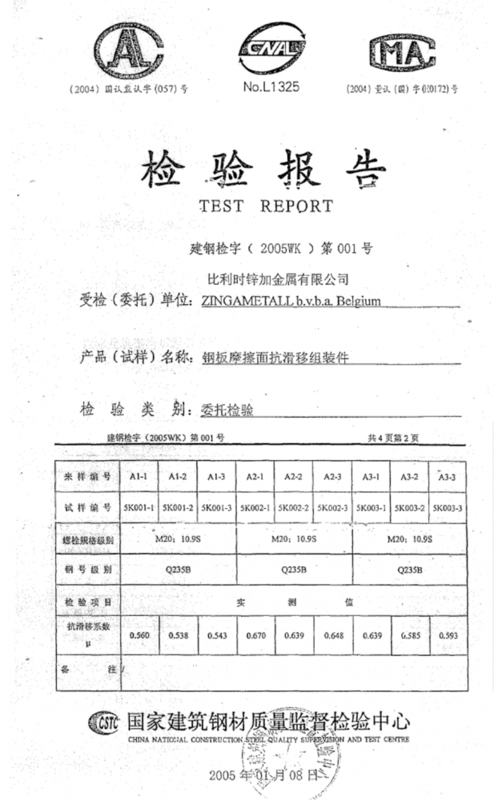 In January 2005, ZINGA coated plates have been tested according GB 50017 to assess the slip friction coefficient (µ). The results indicate that ZINGA coated plates have increased friction (compared to bare steel or galvanised steel) with results of µ between 0.5 and 0.7. This is beneficial for construction.